Our coaching team includes over 100 coaches from more than 20 countries. 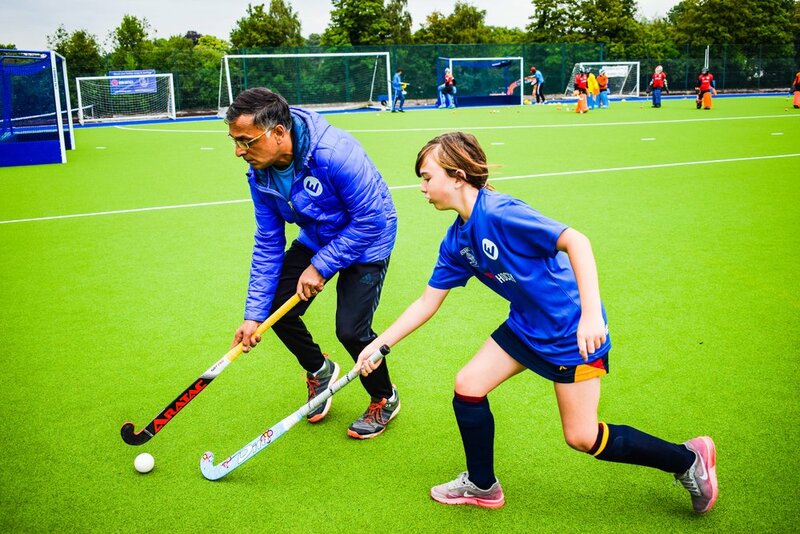 Our 1-1 coaches include senior and junior internationals, selected by EVO to ensure attention to detail and give you the best hockey development opportunities. See below some of the many top players and coaches that make our inspirational coaching team so special. Our events are coached by the world's top senior players, up and coming junior internationals and some of the best creative coaching talent. Read more about our amazing coaching team. We are trusted & recognised by the international hockey community. Our events have been featured by the FIH (hockey's world governing body) and we have been invited to showcase at international hockey events such as the Champions Trophy. We regularly attract the world's best players to coach and young players travel from across the UK and abroad to attend, on recommendation from players and coaches. Our events are tailored to the players attending. You provide your playing information on registration and we make sure that, whatever your level, the programme you are on is optimised for you. In this way we have successfully developed players, from complete beginner to junior international level. Our events are creative, innovative and fun. We show young players hockey styles, philosophies and ideas from around the world, inspiring them to learn new skills and think about hockey in different ways. Sport psychology, strength & conditioning, video work and more are used to ensure maximum development benefit and enjoyment for all players. At EVO Hockey we are extremely serious about the welfare of all players. Our events have been designed by people with significant experience in coaching youth, club and school hockey. Chris Bowen, who designed and oversees the EVO program, has previously been Head of Hockey at Epsom College, Head of Hockey Development at Whitgift School and is currently Performance Director of Hockey at Reigate Grammar School. For outfield players, gumshields and shinpads are an absolute requirement and no young player will be allowed to take part in EVo events without these, unless parents sign a consent recognising the risks of doing so. We would NEVER advise playing hockey without gumshields and shinpads, at any age! Beyond that, clothes suitable for outdoor sport and the weather at the time are advised and astroturf shoes should be worn (not football boots). A hockey stick should be brought by your child but please note that we can supply a limited amount of sticks on request, so if one is needed please ask us beforehand to ensure availability! For goalkeepers, it is essential to bring a FULL goalkeeper kit to the 1-1 session, as we only have a very limited amount of equipment available at EVO. If your child doesn't own a kit but plays for a club or school, we recommend you ask them for use of their equipment. However, please check any borrowed kit to ensure you have a complete set. If you are unable to source a kit, please contact us. + HOW DO 1-1 SESSIONS WORK? When booking a 1-1 session online, you fill in your playing level information and any training requests as part of your registration form. We use this to pair you with the most suitable EVO coach, who is made aware of any training requests beforehand. If you have no specific requests, that is absolutely fine - our coaches are great at working with you on different areas and identifying points for development. There is no 'typical' 1-1 session. Each session is completely bespoke to your needs (as identified by you on registration and / or as identified by the coach during trhe session). Although we cannot offer refunds, we can sometimes defer your place to a future 1-1 event. Please make any requests to defer before your 1-1 by email - no-shows cannot be rescheduled after the event. We cannot always defer your place, but we will try to help wherever we can! See our Cancellations & Returns policy for more information. This is the UK and we are made of strong stuff! We play on all-weather pitches, so expect your 1-1 to run, rain or shine! Please ensure your children have sufficient clothing for the vagiaries of the British weather! The only thing that can scupper us is if the pitches are unplayable, because they are frozen. Therefore, for events in December and February, we operate an Adverse Weather Policy, which sets out what will happen in the event of bad conditions, when any decisions will be made, how they will be communicated to you and what will happen to any bookings. No. Please provide any snacks or drinks / refreshment you may wish your child to have during the session. This event is open to all and run by EVO Hockey with the support of our location partner, Bishop’s Stortford Hockey Club. 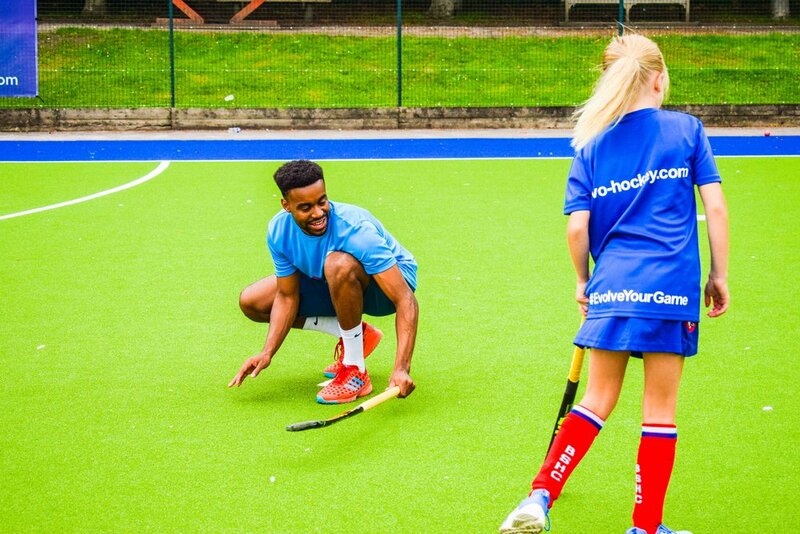 Their provision of fantastic sports facilities enables us to bring EVO Hockey to Hertfordshire and Essex.